UPDATED Feb. 21: Prayer60 begins March 4. Click here to learn how you can participate. 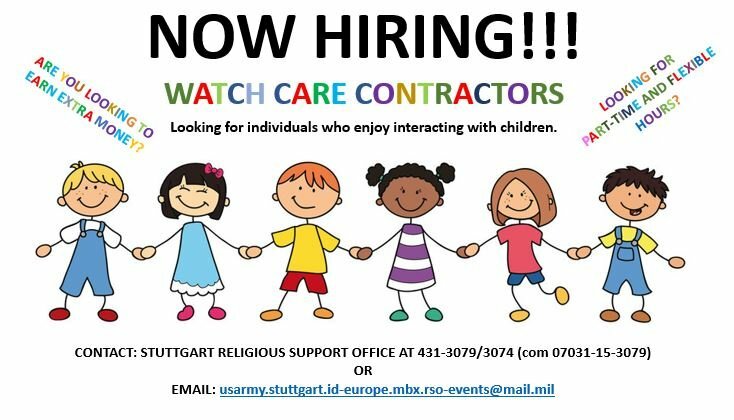 UPDATED Feb. 7 for mobile users: The Religious Support Office is hiring part time and flexible contractors who enjoy working with children. 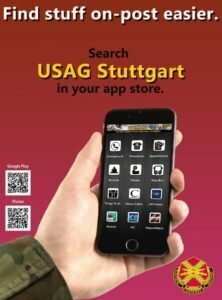 Call 431-3079/3074 or 07031-15-3079, or email usarmy.stuttgart.id-europe.mbx.rso-events@mail.mil.